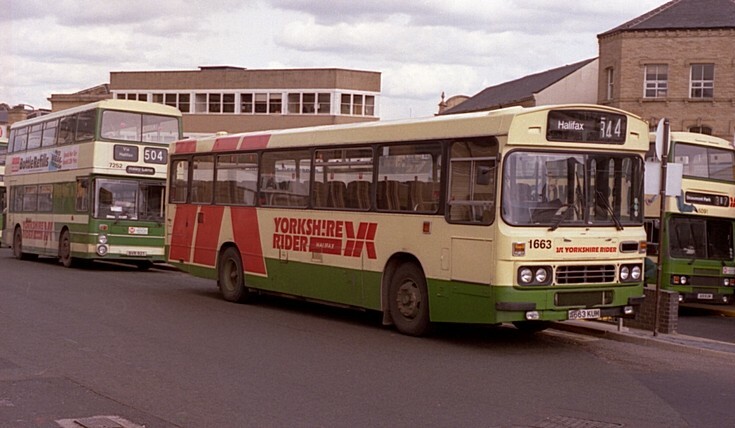 A663KUM Yorkshire Rider 1663 Leyland with Duple DP47F body Location probably Keighley. Date unknown. Correction.The location is Huddersfield, not Keighley ! Added by Mark Fletcher. on 21 June 2011.